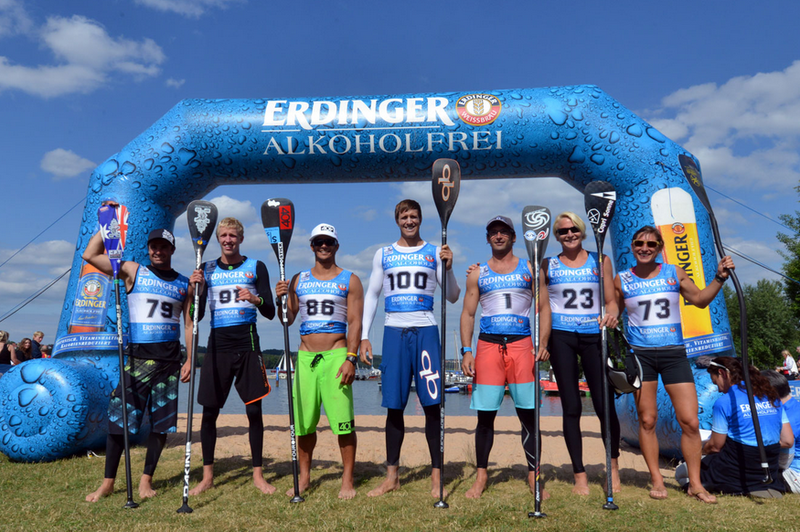 I arrived in Germany yesterday to compete in the Lost Mills SUP race for the fourth year in a row. One of my favorite things about SUP racing are the opportunities it has given me to travel throughout the United States and around the world. Summer is usually a time that SUP racers pack their boards and hit the road to travel to SUP races. Whether driving an hour to a neighboring city or hopping on an international flight, poor traveling skills can erase the benefits of dedicated SUP training. Prepare yourself for success by traveling smart and following the SUP race travel tips below. Not many things will hinder your SUP racing performance as much as stress. Book your hotel, rental car and plane tickets as early as possible. Register for the race, plan your nutrition and formulate a SUP race strategy. Take care of all the little details that can be done beforehand. Early preparation will allow you to focus completely on your SUP race performance. Choose a hotel as close to the event site as possible to avoid the stress of sitting in traffic the morning of your race. It’s better to pack too much than not enough. All of the comforts you have at home during your SUP training should be with you when you travel. Important SUP training racing necessities include pre-race breakfast foods, foam roller, hydration pack, nutrition mixes, GPS, PFD and leash. These items should be the first things that go into your travel bag. Eating a bowl of sugary cereal before your race is sure to slow you down. It’s a good idea to pack a few days worth of dry food if you have a sensitive stomach or are traveling to a city that does not have the nutrition you need to fuel top performance. Energy bars with low sugar and protein powder can go along way in preventing a desperate trip to McDonald’s while on the road. Your board and paddle are obviously two necessities for stand up paddle racing. If you are traveling by plane domestically then I highly recommend shipping your board by ground prior to the event. There are a variety of freight carriers that will ship a 14’ foot board across the United States for under $200. Pack your board in a box, add extra padding and rest assured it will be waiting for you when you arrive to your SUP race. Flying with a board is possible but it is a bit like playing Russian roulette. Depending on your check-in agent you may not even get your board on the plane. If you get it though check-in you will have to test your luck as the baggage handlers deal with the geometry of fitting your board through the planes’ cargo doors. With a little patience its not a problem to get boards into the luggage storage. However, finesse, caution and patience are some of the least common baggage handler qualities. Unless you are a sponsored paddler I recommend renting a board from a local shop near the event or shipping it beforehand. Of course traveling with an inflatable SUP is always an option too! Flying with a paddle is as simple as adding another checked bag. To avoid excess baggage fees, pack a carry-on and use your paddle bag for extra storage space if needed. Paddles also have a tendency to get damaged by impatient baggage handlers so consider a custom hard case for extra protection. Be sure to double check the strength and integrity of your car racks before driving to your SUP race. I like to add a safety line over the boards and through the car when driving on highways. Flying stand up paddle race boards are not good, especially for the cars behind you! Airplanes are sometimes called germ tubes for a reason. Traveling for hours packed shoulder to shoulder like sardines has a tendency to spread germs. Load up on vitamin C and the herbal supplement Echinacea to help boost your immune system before travel. Wipe down your seat belt and chair with disinfectant wipes and wash your hands often. You might look like a paranoid germaphobe but it’s much better than trying to race with the flu! Sitting for an extended period of time creates poor circulation and can fatigue your muscles. Try to get up and move at least every hour during travel. A few yoga poses like downward and upward dog may get funny looks from your fellow travelers on the plane but they are sure to keep the blood flowing and mitigate muscle fatigue. Hydration is also very important in preventing fatigue and decreasing the symptoms of jet lag. Exploring a new SUP racing destination is a fun and exciting reason to travel. New climates and time zones will create different challenges on race day. Melatonin supplements are a great way to naturally help your body adjust to a different time zone. Prepare for the conditions you will be racing in with proper clothing and local knowledge. Racing in hot and humid conditions can be extremely challenging if you are coming from a dryer climate. There are not too many ways to prepare for different climates other than arriving a few days early, using appropriate nutrition and mentally preparing for the adverse conditions. Racing in unfamiliar water can be a challenge. Study the SUP race course maps before traveling to your event. Form a SUP race strategy and use race specific preparation during your SUP training leading up to the event. If you are traveling to a race that has rough conditions make sure your SUP training sessions are not all in flat water. One of the best aspects about SUP racing is the community of paddlers involved in the sport. Driving to a neighboring state or flying to another continent for a SUP race is fun and exciting. SUP racing is the perfect excuse to explore new waterways and make new friends both locally and around the world. Grab your board and paddle and hit the road this summer!